Kay® Jewelers has announced the launch of the #SingForStJudeDonation campaign. Guests can help support St. Jude by uploading a video of themselves singing the Kay Jewelers jingle – “Every Kiss Begins with Kay” – to the Kay Facebook page or on Twitter and using the hash tag, #SingForStJudeDonation. In celebration of the Kay 100th anniversary, $100 will be donated to St. Jude for every video posted from now through December 24, up to $50,000 in total. Since the inception of the partnership with St. Jude in 1999, Kay has raised nearly $53 million dollars to help St. Jude advance research and treatment of childhood cancer. These funds are critical given that no family ever receives a bill from St. Jude for treatment, travel, housing or food – because all a family should worry about is helping their child live. Most recently, Kay and St. Jude announced the latest collaborative effort, the Kay Research and Care Center, a six story building in the heart of St. Jude’s campus. The Kay Research & Care Center ushered in a new era of research, education, collaboration, care and treatment for the kids at St. Jude. In addition to participating in the #SingForStJudeDonation campaign, guests can also support Kay and its efforts benefitting St. Jude through the annual plush campaign. This year two plush animals — Kit, an adorable plush bear, and Kobie, a cuddly plush puppy — are available at all Kay stores for $13.99 each. All profits, no less than $7 of the purchase price of each “Kit” and “Kobie,” will be donated to St. Jude Children’s Research Hospital. Kay® Jewelers, the number one jewelry store in America, is conveniently located in malls and off-mall shopping centers across the country. Kay® Jewelers is operated by Signet Jewelers Limited, the world’s largest retailer of diamond jewelry. Signet Jewelers operates Kay® Jewelers among its approximately 3,600 stores. For additional information on Kay® Jewelers visit www.Kay.com, follow us on Facebook® (www.facebook.com/KayJewelers), Twitter® (www.twitter.com/KayJewelers), YouTube (www.youtube.com/KayJewelers), Pinterest (www.pinterest.com/KayJewelers) and Instagram (www.instagram.com/KayJewelers). Shop American Apparel via #iGive to ensure your Cause gets a #donation – during #31DaysofGiving and all year round! Enjoy special 3.6% Donations at Necessary Clothing during #31DaysofGiving with iGive.com! Two iGive.com retailers BCBGMAXAZRIA and Wen® Hair and Body Care By Chaz Dean are showcasing Fall looks in LA’s inaugural Fashion Fundraiser for Make-A-Wish® Greater Los Angeles. The August 24th event at the Taglyan Complex August 24th will feature past and present Make-A-Wish® recipients and celebrity supporters on the runway. Celebrity Stylist Brad Goreski will take the stage as honored host of the black tie fundraiser. Guests will have the chance to see one special wish granted live during the show. To close the evening, singer Rebecca Black will hit the runway with an intimate performance of her latest single. On-site donations will help Make-A-Wish Greater Los Angeles® continue their important work granting incredible wishes of kids diagnosed with life-threatening medical conditions. BCBG Max Azria Group, LLC BCBG Max Azria Group began with a single idea – to create a beautiful dress. Founded in 1989 by Max Azria, the brand embodies a true combination of European sophistication and American spirit. The BCBG Max Azria and BCBG Max Azria Runway labels are sold in 700 freestanding boutiques and shop-in-shops at top department stores across the globe. “Band Together,” a $2 Million donation campaign by Jewelers Mutual Insurance will benefit: St. Jude Children’s Research Hospital®, Habitat for Humanity® , Feeding America®/Food Banks Canada. The company, which is the leading insurer dedicated exclusively to jewelry and the jewelry industry, invited its policyholders and the general public to vote online at its website for their favorite cause. Jewelers Mutual Insurance Company, the only insurer dedicated solely to serving the jewelry industry in the United States and Canada, was founded in 1913 by a group of Wisconsin jewelers to meet their unique insurance needs. Today, Jewelers Mutual remains the trusted insurance advisor and loss-prevention expert for jewelry businesses including retailers large and small, wholesalers, manufacturers, custom designers and appraisers. Consumers also put their trust in Jewelers Mutual to protect their personal jewelry and the special memories it represents. The company’s strong financial position is reflected in its 29 consecutive ratings of “A+ Superior” from A.M. Best Company and more than $14 billion of jewelry coverage in force. To learn more, visit JewelersMutual.com. Driven by the vision that everyone needs a decent place to live, Habitat for Humanity has grown from a grassroots effort that began on a community farm in southern Georgia in 1976 to a global nonprofit housing organization in nearly 1,400 communities across the U.S. and in over 70 countries. People partner with Habitat for Humanity to build or improve a place they can call home. Habitat homeowners help build their own homes alongside volunteers and pay an affordable mortgage. Through financial support, volunteering or adding a voice to support affordable housing, everyone can help families achieve the strength, stability and self-reliance they need to build better lives for themselves. Through shelter, we empower. To learn more, visit habitat.org. To support a local Habitat for Humanity chapter through your online shopping search “Habitat for Humanity” at http://www.igive.com. Food Banks Canada supports a unique network of over 3,000 food-related organizations in every province and territory that assists close to 850,000 Canadians each month. Together, our network shares over 200 million pounds of essential safe quality food annually, provides social programs that help to foster self-sufficiency and advocates for policy change that will help create a Canada where no one goes hungry. Visit foodbankscanada.ca for more information. Sprint believes that connectively is critical to learning and career advancement. They recently announced a donation of approximately $1 million in devices and service to for 500 City of Oakland, CA young adults as part of the Sprint for ConnectED program, and partnership with My Brother’s Keeper Alliance (MBKA) — a national nonprofit organization dedicated to improving life outcomes for boys and men of color. This is just one way that Sprint gives back to the community. Purchases made through iGive at Sprint online can support your favorite cause. The Petco Foundation grants totaling more than $30 million in funding for animal welfare is the highest annual funding total in the foundation’s history. The financial grants are in addition to $2 million in product donations. In total, 2770 organizations across the U.S. benefited. A primary focus in 2015 was supporting organizations that inspire and transform their communities to reduce euthanasia of pets. LifeLine Animal Project, an Atlanta-based, private non-profit that took over operations of two county facilities just a few years ago when euthanasia rates were over 65%. Because LifeLine has been able to inspire the community to participate in their lifesaving work, they are saving close to 90% of the 16,000 animals they care for each year at two of Atlanta’s oldest sheltering facilities. Kansas City Pet Project, a newly formed organization that created excitement and hope for Kansas City and the 10,000-plus animals entering their city shelter. After assuming operations in 2012, the Kansas City Pet Project has been saving over 90% of the animals and has put their city on the national map as a leader and example of a successful lifesaving community. Front Street Animal Shelter, the City of Sacramento animal shelter that has put itself on the map for its creative outreach activities. Efforts have spurred an entire community to take action and participate by fostering and volunteering to help care for more than 11,000 community animals each year. Front Street’s approach has made it one of the most engaging city shelters and created an international social media following that has contributed to the increase in its lifesaving rate from just 25% five years ago to 83% today. Baltimore Animal Rescue and Care Shelter(BARCS), led by Jen Brause, whose determination to succeed despite very unfavorable conditions has been nothing less than heroic in changing the horrific 98% euthanasia rate in 2005 into a 85% save rate through the early part of 2016. BARCS is striving to save even more of the 11,000-plus animals entering its facility annually. Significant support was provided to other up-and-coming organizations transforming communities such as the Kanawha-Charleston Humane Association (WV), Animal Care Centers of NYC, HALO Animal Rescue (Phoenix), Charleston Animal Society (SC) and The Animal Foundation (Las Vegas), in addition to many smaller rescue groups that support these lifesaving efforts. The Petco Foundation, believes that every animal deserves to live its best life. Since 1999,more than $167 million has been invested with more than 4,000 animal welfare partners. The goal is to inspire and empower communities to make a difference by investing in adoption and medical care programs, spay/neuter services, pet cancer research, service and therapy animals, and numerous other lifesaving initiatives. With more than 50 years of service to pet parents, Petco is a leading pet specialty retailer that focuses on nurturing powerful relationships between people and pets. We operate more than 1,430 Petco locations across the U.S., Mexico and Puerto Rico, including more than 115 Unleashed by Petco locations, a smaller format neighborhood shop; prescription services and pet supplies from the leading veterinary-operated pet product supplier, Drs. Foster & Smith; and petco.com which is a partner with iGive.com. Westlake Ace Hardware teams up with The Salvation Army to raise money for fans. Westlake Ace Hardware knows that summer isn’t all fun for the elderly, those without air conditioning or with medical conditions. The are joining together with The Salvation Army to raise money for fans. The group of stores will kick off the fan drive with a donation of 475 fans to The Salvation Army. In 2015, more than $56,000 was donated by Westlake customers, equating to more than 3,600 fans, donated at cost, to The Salvation Army. From June 23 to July 10, each of Westlake’s 92 store locations will participate in the fan drive by asking customers to donate to The Salvation Army at the register. If you’d like to contribute to the Westlake fan drive, visit any Westlake Hardware location or donate online at westlakehardware.com/fandrive. Westlake has been in operation for more than 100 years and currently has 92 neighborhood hardware stores in Missouri, Kansas, Nebraska, Iowa, Oklahoma, Texas and New Mexico. It has been part of the Ace hardware distribution network since 1959, and a wholly owned Ace subsidiary since 2012. Ace Hardware enables online customers to give back to their favorite causes by shopping through iGive.com. Westlake is the largest member of the Ace Hardware Cooperative, giving its customers access to more than 70,000 products—both in-store and by special order—to help them complete numerous household and lawn and garden projects. For more information about Westlake, please visit westlakehardware.com. Customers of Performance Bicycle® with the matching support of the company, has raised $17,522 for Rails-to-Trails Conservancy throughout National Bike Month. The donation will help to create more trails and maintain existing ones. During May, cyclists were invited to donate $1 both in-store or online. These funds will help promote cycling and the growth of local cycling communities. This effort is just one of Performance Bicycle’s advocacy efforts. Their work with organizations like Bikes Belong, Rails-To-Trails, the International Mountain Biking Association, Peopleforbikes.org and the League of American Bicyclists has helped make communities safer for bicyclists, expanded safe riding areas, spread awareness and advocated for cyclists at a grass roots and national level. 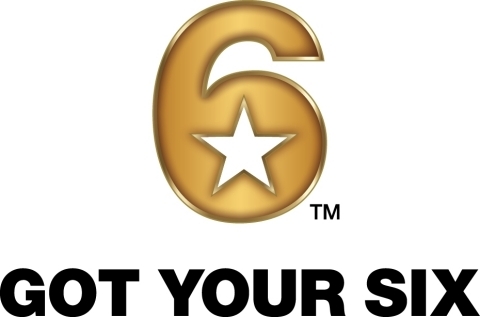 Macy’s and the national veterans campaign, Got Your 6, will again join forces for this year’s American Icons celebration. Since the partnership began in 2013, Macy’s employees and customers have raised $6.7 million to support Got Your 6 to help empower veterans to build stronger communities across America. The program will include a special savings pass on Got Your 6 Weekend and a charitable donation through Macy’s Summer Vibes digital music festival. From Friday, May 13 to Sunday, May 15, customers can participate in Got Your 6 Weekend and give $3 at the register at any store or on macys.com to receive a special 25 percent savings pass to save all day on purchases. Best of all, 100 percent of the $3 will be donated to Got Your 6 and its coalition of veteran nonprofits. Exclusions and restrictions apply for the pass. Pre-sale of the passes began on May 8 in store. In the military, “got your six” means “I’ve got your back.” Got Your 6 believes veterans are leaders, team builders and problem solvers who have the potential to build and strengthen communities nationwide. A coalition that unites nonprofit, Hollywood and government partners, Got Your 6 empowers veterans to make America stronger. As part of American Icons, Macy’s is hosting its first-ever digital music festival on YouTube. Macy’s Summer Vibes will air on Thursday, June 2 at 8 p.m. EDT via Macy’s official YouTube channel (youtube.com/macys). The 60-minute concert series will feature headliner, Todrick Hall, as well as emerging artists including AJ Rafael, the Gardiner Sisters and Macy Kate. For every view of the festival through June 19, Macy’s will donate $1, up to $100,000, to Got Your 6. Visit macys.com/summervibes to learn more, starting May 10. Got Your 6 is a campaign that’s empowering veterans to build stronger communities across America. In the military, “got your six” means “I’ve got your back.” Got Your 6 and its nonprofit partners are helping veterans find new opportunities to serve here at home. Since 2013, Got Your 6 has distributed grants totaling more than $6 million to its veteran-focused non-profit partners. For more information visit www.gotyour6.org. Be the Change, Inc., an independent 501(c)(3) not-for-profit organization, is the organizing body and fiscal sponsor of Got Your 6. The Coffee Bean & Tea Leaf®, Los Angeles’ homegrown specialty coffee and tea retailer for more than 50 years, is partnering with the Adopt the Arts Foundation, a locally-based non-profit organization that works to preserve arts programs in L.A. public schools. From March 21 – May 22,10% of all online sales from CoffeeBean.com will go towards keeping and expanding creative educational programs in the Los Angeles Unified School District. During the two month fundraiser, The Coffee Bean® plans to raise up to $50,000 to fund the Adopt the Arts program furthering their efforts to adopt schools and tapping star power of prominent actors and musicians along the way. At the beginning of April, coffee lovers can also support the cause by going online to CoffeeBean.com to purchase the limited edition Adopt the Arts coffee ($12.99), a 16 oz. whole bean House Blend that features three different designs from children who have benefitted from the program. Co-founded by former Guns N’ Roses and Velvet Revolver drummer, Matt Sorum, and activist, Abby Berman, Adopt the Arts has already donated over 1000 instruments to 30 LAUSD schools, as well as provided modern band curriculums, vocal and instrumental classes. Celebrity supporters include actress and singer, Jane Lynch, who is one of the founding board members of Adopt the Arts, as well as John Stamos, Slash, Juliette Lewis, and others. “Adopt the Arts is shedding light on the reality of public education and providing an opportunity for people to invest in their community.” Matt Sorum, Co-Founder and Co-Executive Director, Adopt the Arts Foundation. Born and brewed in Southern California since 1963, The Coffee Bean & Tea Leaf® is the oldest and largest privately-held specialty coffee and tea retailer in the United States. Embodying a passion for connecting loyal customers to one another with carefully handcrafted products, the company is known for sourcing and providing the finest ingredients and flavors from around the world. For more than 50 years, The Coffee Bean & Tea Leaf® has demonstrated a passion for product innovation epitomized by The Original Ice Blended® drink. The company has grown to be an international icon and currently has more than 1,000 stores spanning across 30 countries. Please visit CoffeeBean.com for more information. In collaboration with well-known artists, entrepreneurs, policy makers and the general public, Adopt the Arts is dedicated to improving the academic performance of every child, through the gift of making music and art. ATA is focused on developing strategic relationships with educators, administrators, and board members to ensure that most underserved schools in the district are identified and ultimately, helped. Co-founders Abby Berman and Matt Sorum believe that it is morally and ethically incumbent upon the public-at-large to foster the creativity, hopes, dreams and imaginations of our children. To date, ATA has fully funded the music program in two schools, Rosewood Avenue and Westminster Elementary. Each school has been “adopted” by a celebrity or public figure, exposing children to inspirational people who have worked hard for their successes. The interaction between the children and adoptee creates a sense of responsibility and shared commitment for all of those involved. Bonton Goodwill Sale Give Back! Each spring and fall, our customers are encouraged to donate gently used clothing, and in return will earn a special savings coupon for each item donated. With the profits generated from these donations, Goodwill Industries® can provide training for individuals with barriers to work in our communities. Goodwill® sells your donations in more than 3,000 retail locations across the country and generates opportunities for people to achieve economic stability and build strong families and vibrant communities. Goodwill offers job training programs, employment placement services and other community-based programs for people who have disabilities, lack education or job experience, or face employment challenges. Every 23 seconds of every business day, a person served by Goodwill earns a good job. And every 1.2 seconds, another person accesses Goodwill opportunities to build careers and strong families. During the 2015 Goodwill Sale events, through the generosity of our customers, we donated an estimated 4.1 million items to Goodwill Industries! Bring your gently used apparel, shoes, luggage, handbags, linens and blankets, and home textiles to the donation desk in one of our stores. Earn a 25% off coupon for each item donated. It’s that easy! Thanks to all our customers who have helped make our Goodwill Sale a resounding success! We look forward to seeing you for our next event, March 9-26. *See official rules for details.